Organizations have realized the importance of providing safety and security of staffs and office premises from intruders or dangers. In order to ensure safety, organizations need to identify and track visitors who visit their premises. However, with the age-old visitor book safety couldn’t be assured. As any person could easily enter a premise and attack others. With technological advancements, managing and tracking visitors have become easy. With the help of electronic visit management system, organizations can easily record details of visitors and maintain security of the place. A Visitor Management System (VMS) is a type of software that allows registration of guests once they arrive at your office. When a visitor’s name is registered, it gets saved in the computer database. This helps to save a lot of time in creating passes and badges when the visitor revisits a place. With an effective visit management system, a visitor will receive a warm welcome. It would leave a good impression on their mind. Visit management system must be implemented at the public entrance of a building. The software would scan the driver’s license. Photos of the visitor must also be taken before issuing an ID badge. It would help in identifying visitors later on. Employees can make visitors aware of the new system so that they can easily enter the premises. However, one should post a notice about the visit management system in order to make visitors aware of it. Visitors would need to place the card for signing in and out of the building. It would help organization to analyze for how long a visitor stays in the building. VMS can provide highest level of security. Visitors are logged in ad identified, only after that they are provided entry. As it keeps a record of every visitor; thereby it can save a company from facing any wrong lawsuits from visitors. Apart from scanning driver’s license for obtaining personal detains, it also take pictures of people which can be used in future use. 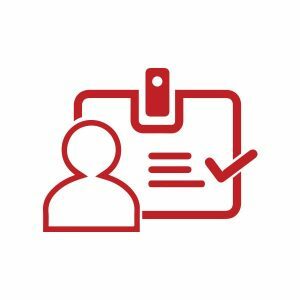 VMS not only minimizes time of front-desk personnel in signing visitors, but also allows personnel’s to send notification to employers or security team in case of emergencies. For example, an employer can know in advance about an intended visitor. At the same time, visit management system can handle emergency situations with ease. It can send security alert when a visitor tries to trespass into a restricted area; or, if a visitor stays at a facility for long time. As it issues ID badges with time limits, security officials can easily identify intruders. The increasing threat of terrorism and workplace violence, have made it necessary for business houses to integrate visitor management system within the building’s security. With this system, an organization can easily control visitor access, track their visitors and avoid any kind of threats from intruders. With proper protection, organizations will not face any kind of loss. Rather it will help them to ensure wrong people are not allowed entry. Help you child grow and learn with our exclusive educational software that will help your child facing with any kind of disorders or issues to read and write like normal kids. Contact us for more info! How SEO Professionals Can Avoid Becoming Obsolete?